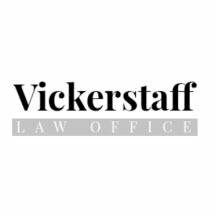 Based in Louisville, and serving throughout Kentucky and southern Indiana, the Vickerstaff Law Office, PSC, is a full-service legal resource serving the region's immigrant community. The laws that govern U.S. immigration are confusing and complex. It can be incredibly difficult for individuals seeking employment, residency, citizenship or asylum to understand what they need to do to achieve their goals. We can help. The attorneys at our law firm take a personal approach to immigration law. We are careful listeners — it is important to us to develop a clear idea of our clients' priorities. Then we can go about pursuing them in the appropriate manner. We work with business owners, families and individuals alike. We have served clients from all over the world, and are fluent in Spanish, Russian and French. To learn more, schedule an initial consultation with our firm.